A-HOTEL.com - Luxury and cheap accommodation in Babushkina, Russia. Prices and hotel, apartment booking in Babushkina and surrounding. Located 2 km from Chelyabinsk city centre, this hotel offers elegant rooms with free internet and refrigerators. Free parking and a 24-hour reception are available. Apartment na Chaykovskogo is situated in Chelyabinsk, 2.6 km from Chelyabinsk Zoo, 3. Located in Chelyabinsk, just 3 km from Chelyabinsk Zoo, Двухкомнатные апартаменты на Братьев Кашириных, 72а provides accommodation with free WiFi. The Kirova Street is within 4 km of the apartment. Located in Chelyabinsk, Shokolad Apartments features free WiFi and a flat-screen TV with cable channels The apartments offer a balcony, CD and DVD players. The bathrooms include a hairdryer, bathrobes and slippers. This small hotel is located 6 km from Chelyabinsk City Centre and offers a sauna with a plunge pool. Free Wi-Fi and a 24-hour front desk are featured at Severokrymskaya Hotel. Set in Chelyabinsk, 2.8 km from Chelyabinsk Zoo, 3. Apartments 5 zvezd Naberegnaya Universitet is an accommodation set in Chelyabinsk, 2.8 km from Kirova Street and 3. Located in a quiet residential area in north-west Chelyabinsk, this hotel offers bright rooms, a 24-hour reception, a café, free WiFi and a fitness centre. Traditional rooms with a TV and refrigerator are offered at Planeta Hotel. Set in Chelyabinsk in the Chelyabinsk region, Apartment na Molodogvardeycev 41 has a balcony and city views. This apartment is 4. Apartament on Molodogvardeytsev enjoys a location in Chelyabinsk, just 3.7 km from Traktor Ice Arena and 3. Just 100 metres from buses running to the city centre, this hotel in Chelyabinsk offers free Wi-Fi, 24-hour reception and a shared kitchen with free tea and coffee. Your simply furnished room at the Berloga includes a TV and hairdryer. Located 3.8 km from Chelyabinsk Zoo in Chelyabinsk, Апартаменты Урал Молодогвардейцев 74 offers accommodation with a kitchen. Apartment on Molodogvardeytsev 74 offers accommodation in Chelyabinsk, 3.6 km from Chelyabinsk Zoo and 4. Situated in Chelyabinsk, Apartments 5 zvezd Vintage features accommodation with a balcony and free WiFi. The property features city views, plus is 3. Boasting city views, Apartments on Molodogvardeytsev 76 is located in Chelyabinsk, 3.4 km from Chelyabinsk Zoo. 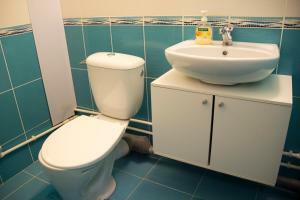 Apartments Domashniy Uyut offers accommodation in Chelyabinsk. There is also a kitchen, equipped with a microwave, refrigerator and stovetop. Apartment on Bratyev Kashirinykh 115 is an accommodation situated in Chelyabinsk, 3.9 km from Traktor Ice Arena and 4. Set in Chelyabinsk, just 2.4 km from Chelyabinsk State Regional Puppet Theatre, Apartment on Ulitsa Kosareva offers accommodation with free WiFi.